and enjoyable Labor Day weekend? now I need to clean up the mess! I do have some exciting news to share! designers blog I found just by chance. Her style is clean and simple and wonderfully refreshing! I just HAD to have her join our design team. 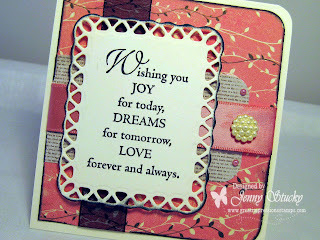 with this lovely sentiment by Great Impressions Stamps. pearls and a vintage pearl button as my embellishments. has oodles of sentiments to choose from for every occasion. The paper and feel of the card are elegant and romantic. The sentiment fits beautifully. Looking forward to checking out Erin's work tomorrow! 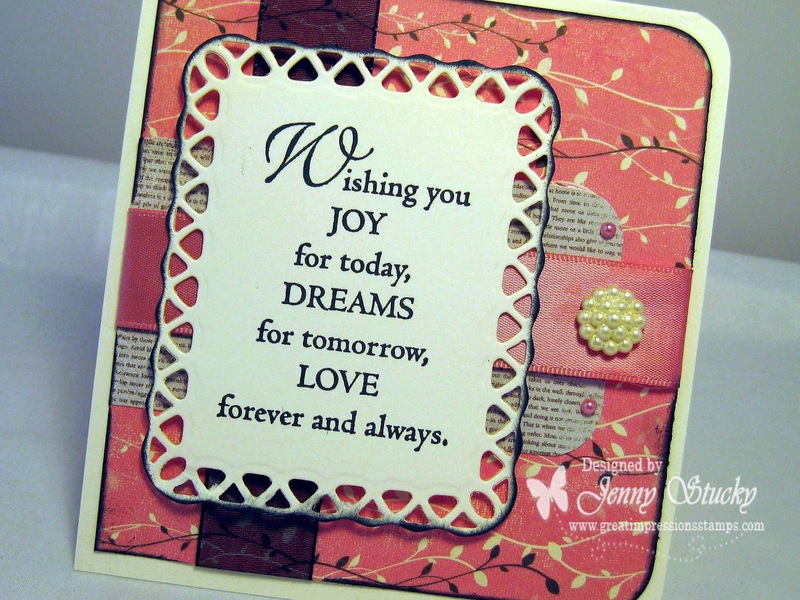 Love the soft colors, Jenny, and that sentiment is lovely! Love the simplicity of this...the die cut makes the sentiment shine!